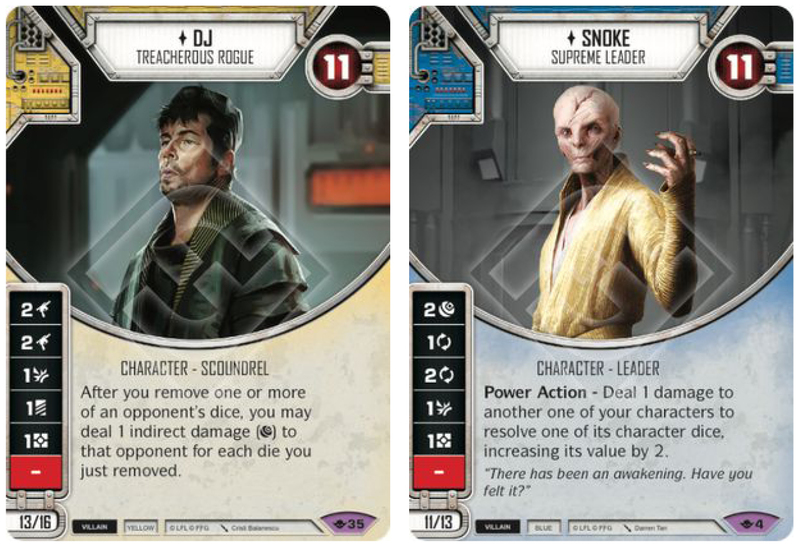 5 Character Pairings You Should NOT Play For Regionals! As promised this week’s Hot and Not list will be the NOT'S of Destiny decks. It is always dangerous territory claiming decks to be bad. Some players get very offended seeing their pet decks criticized. Also list vary greatly from region to region and even player to player. 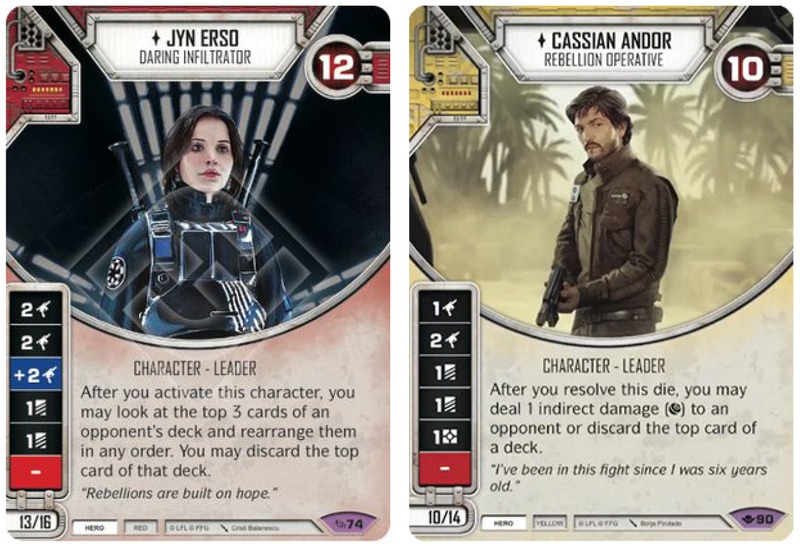 Because of this I will not give out deck lists that I single out as ‘NOT’ (except for my own), but I will instead refer to character pairings and the general strategy they represent. 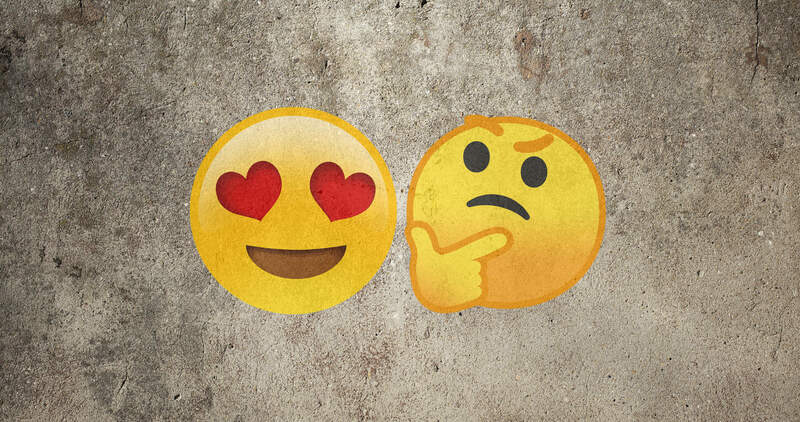 Remember that when rating decks in Destiny, no player will have had enough games done to say anything with 100% certainty, a lot of how we rate decks are based on educated guesses, emotions and the idea of how the certain deck will play out. You might find that a certain deck has over performed in your local game store, while it is being rated ‘NOT’ here. That is the nature of dice games and meta calls, one man's trash might be another man's treasure. Do also keep in mind that this is purely from a competitive standpoint. If you are playing casually or because you like certain cards or characters, don't let me tell you what to do. You just do it! Regional win, and another for runner-up spot at Nationals. So when I tell you that even my love for the archetype isn't enough to make me play it right now you should also reconsider it. Red/Yellow aggresive decks are typically efficient and fast and that strategy definitely has advantages, but as the game is looking right now, I would strongly advise against it. None of the decks above are strong after losing a character, which in turn makes them weak when things go wrong. Also none of them have a particular good way to maximise their damage making it very hard for these decks to get ahead early as well as fight from behind! Their time will come again, but right now, you shouldn't be playing them. If you like this strategy, instead try eHan/eQira, The big health pool, diverse event suite and redeployable weapons makes it is a very solid middle-middle deck that can close out games even after losing a character. DJ - TREACHEROUS ROGUE is a very good character, but his passive ability supports a strategy that isn't working at the moment. You need to be proactive and apply pressure in Destiny, building a reactive deck with its main game plan being to mitigate dice is asking for trouble! 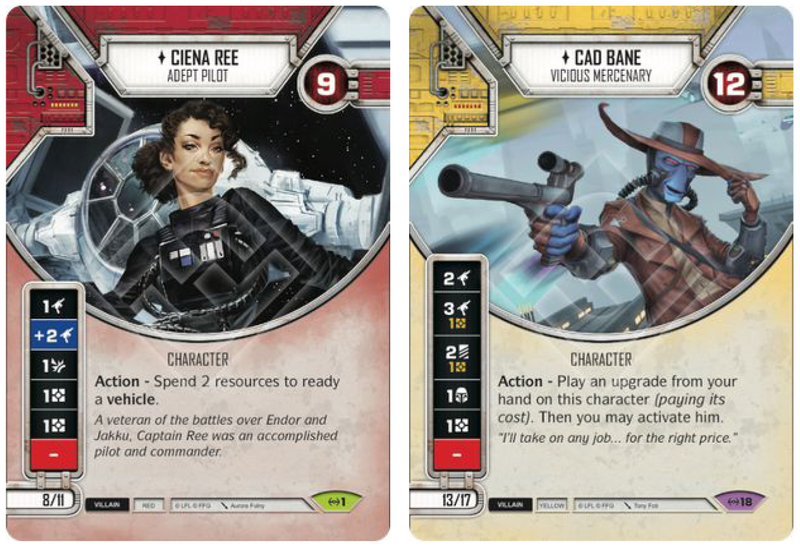 Vader, Yoda and Force Speed are all cards that see a lot of play right now, and they will all give your DJ archetype a headache. This is all said well aware that eDJ/eSnoke just took down an Australian Regional. 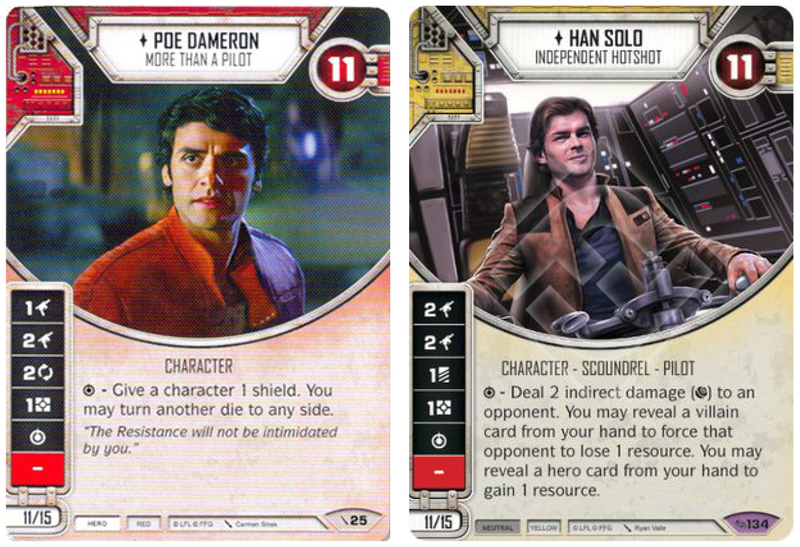 I recently tested a deck in which I tried to abuse X-Wings. I’ve tried other traditional vehicle lists as well but the truth is they are just worse versions of the FAT Shadow Caster or Firespray-31 lists. they do not reward you if things go right, if not built with yellow cards like Friends in High Places, No Good to Me Dead and solid removal plus yellow trick cards. 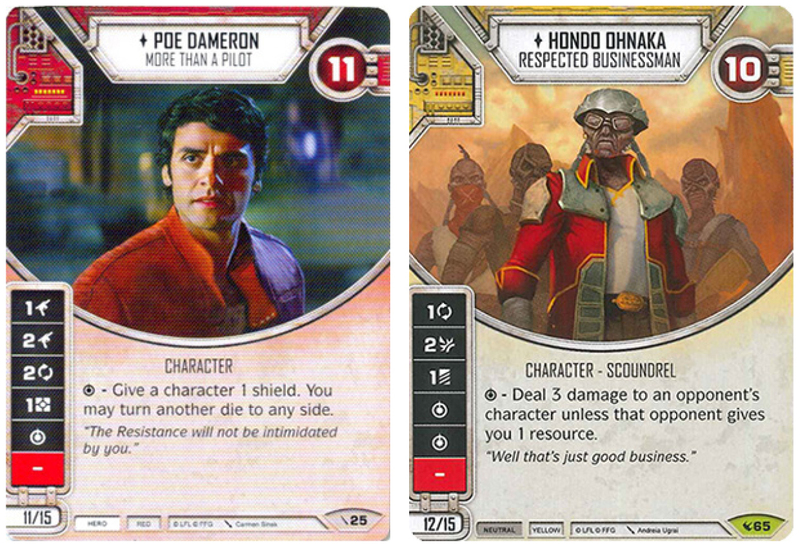 The Blue/Red Vader decks are looking to fair and slow for my taste. Bitter Rivalry is dangerous too, and though the colour combo opens up for Leadership plays (which are nice), the price of Bitter Rivalry is just too high. 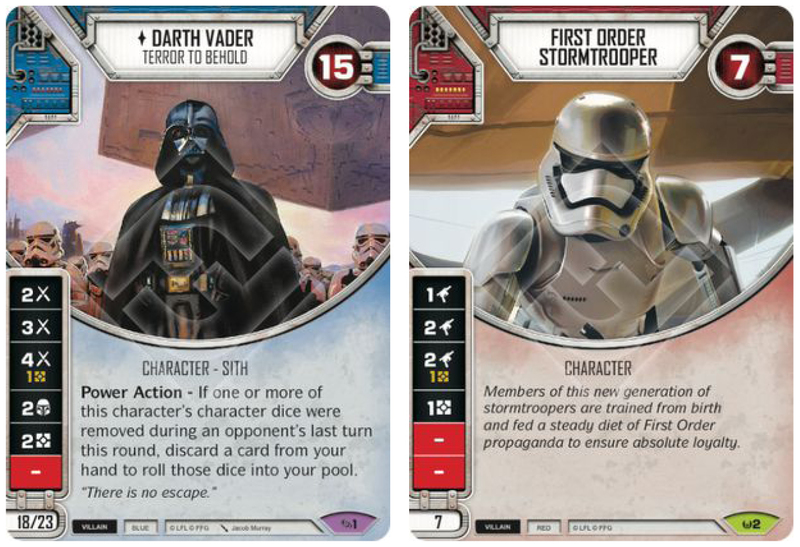 Obviously the power level between the eVader/Greedo and the eVader/FOST deck isn't enormous, but it is enough to make me advise against playing a Vader/Red when you have a clearly stronger alternative in eVader/Greedo. GOOD LUCK at your Regionals! Also, check out the 5 Decks You Should Be Playing that we posted last week!